Wheat Halwa is a traditional Indian sweet. Famous for it's taste and softness. 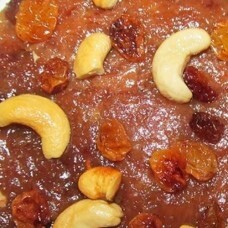 It is made from the Wheat Milk, added with white sugar, dried grapes, cashew nuts etc.